There are Vindale Research Reviews all over the Internet, and I am here to give you my complete, honest and accurate opinion with my experience using them as an online income source. First, let’s take a look at a brief history of Vindale Research. They have been around since 2004, so for almost a decade by now. This means they have been paying people for 10 years which is longer than any other company I have ever came across. When considering earning an online income via paid online surveys, it’s important to know you’re going to get your money for doing the work you’ve done. Vindale Research has proven themselves to be a consistently, reliant paying company that WILL pay you for your work, and they’ve been doing it for 10 years! The simple answer to this is, YES! Vindale Research IS NOT A SCAM. I have used them personally for over a year after one of my good friend’s asked me if I wanted to make some easy extra money, right from my own home. I could not pass up this opportunity because I needed the money so I was willing to try anything. Come to find out, I am still actively using Vindale Research To Make Money Online with minimal effort. After hearing about my success, let’s take a look at some ways that you can actually earn with Vindale. To start you off, take a look at the picture below which will help to clarify the different ways you can earn with Vindale Research. There are five main ways to earn with this company. 1. 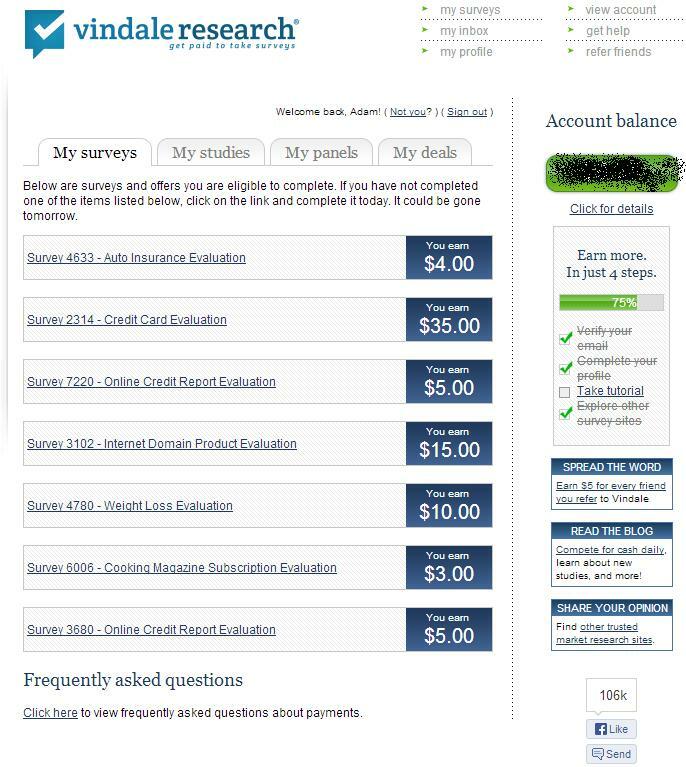 My Surveys – This section is the first way to earn, and the heart of Vindale Research Reviews. These are surveys that are offered to you and refreshed on a daily basis. Always keep in mind that a survey that is there to complete today, could be gone tomorrow. As you can see from the picture, these are high paying surveys. Some of them require a credit card to sign up and earn credit, where as others do not require any card information. Take a look around them and see which ones you prefer because this is a great opportunity to earn high amounts of money online. Keep in mind they are refreshed daily so if you don’t see any surveys you like today, check back tomorrow. 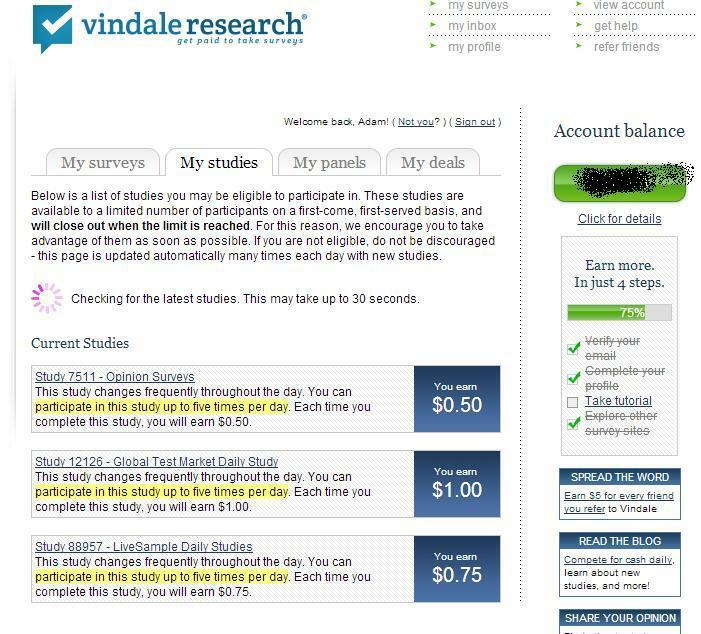 Sign Up For Vindale Research Paid Online Survey Company & Receive A $2.00 Bonus. 2. My Studies – This is my favorite part of Vindale Research and prove why it is not a scam. Studies give you a chance to earn lower amounts than the surveys, but there are far more studies that you can complete. They are also refreshed on a daily basis so make sure to check everyday. These offers usually will credit you with anywhere from $0.10 up to $2-$3 for each study completed. They often take less time than surveys, hence why they pay a little bit less. Right now I have over 30 study offers that I can complete, one being as simple as my opinion on my favorite foods. This favorite food specific offer will reward me $0.10 and take less than 2 minutes. The study section is an amazing way to earn money fast, easily and there will always be opportunities for you in this section. 3. My Panels – This is basically a referral section to other online money making programs. There are so many offers and earning potential with surveys and studies, that I don’t really bother with this section. However, if you’re interested you can take a look here to sign up for even more offers. However, keep in mind that this will refer you to other programs and websites. 4. 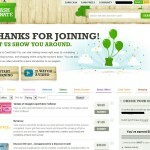 My Deals – This section is a great way to save money. They offer you hundreds of coupons on popular, brand name, every day items. You can combine them with in store savings with giant retail stores like Wal-Mart, Target, Best Buy, etc. 5. Referral Program – Earning money with surveys, panels, and studies are a great way to make money online with Vindale Research. Even saving money with in store shopping using the coupons is another way to save money, but if you want to make hundreds every week from Vindale, the way to do that is through referrals. You will earn $5.00 directly into your account as soon as your referred member signs up, confirms their e-mail and completes one task. If you’re interested in starting to make money online with this company, you can access their website from: Sign Up For Vindale Research Here. I will fill you in that instantly you will receive a $2.00 sign up bonus. In order to receive this, you must sign up, then confirm your e-mail that you will be in your inbox folder. If you want to earn more of a bonus, you can complete some easy tasks that take no longer than a few minutes. 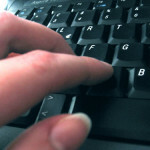 After confirming your e-mail, be sure to check out some offers and accomplish some easy tasks to earn money. The easiest way for another bonus is to fill out your profile information. They will use this to tailor specific surveys and studies that will suite you best. After reading this article, I am sure you will see the legitimacy of this company and the earning potential you have right at your fingertips. Granted, you won’t get rich over night with them but they do offer a chance to earn a stable income to your financial portfolio. If you take advantage of the referral program, complete a few studies and surveys every single day then you will see the true potential and can even make hundreds per week from Vindale Research. The minimum withdrawal is $50.00 so you will not be able to take any money out until you’ve reach that threshold. However, it is quite easy to get there and depending how much free time you have, you can easily achieve the $50.00 limit just by completing surveys. Let me leave you with this, Vindale Research is one of the best paid online survey companies from all over the Internet and a great opportunity. The action’s you choose today will define your tomorrow. 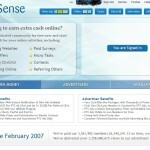 Don’t pass this easy opportunity up to earn some money online.